Young Father Teaching His Two Little Sons To Swim In An Indoor Swimming Pool. Active Happy Kid Boys, Siblings And Twins Wearing Safe Swimmies And Having Fun Together. Royalty Free Fotografie A Reklamní Fotografie. Image 42633734. 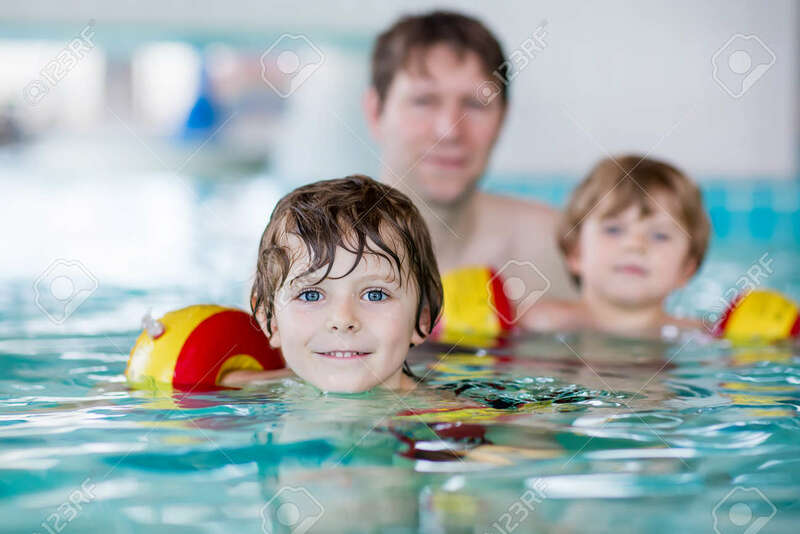 Reklamní fotografie - Young father teaching his two little sons to swim in an indoor swimming pool. Active happy kid boys, siblings and twins wearing safe swimmies and having fun together. Young father teaching his two little sons to swim in an indoor swimming pool. Active happy kid boys, siblings and twins wearing safe swimmies and having fun together.